iPhone 6 and iPhone 6 Plus smartphones are now officially available by Apple with the world's most advanced mobile operating system "iOS 8 Firmware". If you're still curious to know what you're getting for your money if purchase a brand new iPhone 6 or iPhone 6 Plus device, then this article will helps you in your iPhone 6 buying, today we are writing a detailed Review of iPhone 6 and iPhone 6 Plus Specifications, Features, Price and Availability details. The official release date of iPhone 6 is September, 2014 and now it’s available in USA, UK and all over the world. 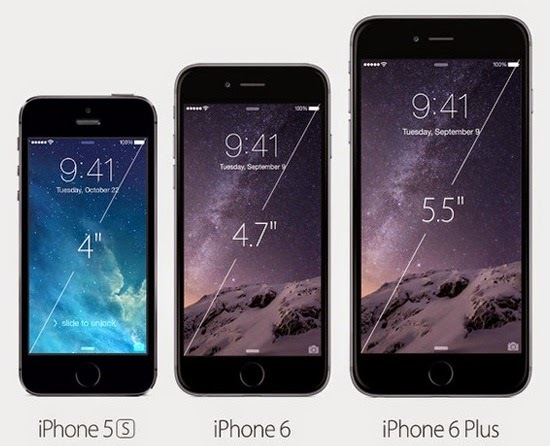 The official release date of iPhone 6 Plus is September, 2014 and now it’s available in USA, UK and all over the world. 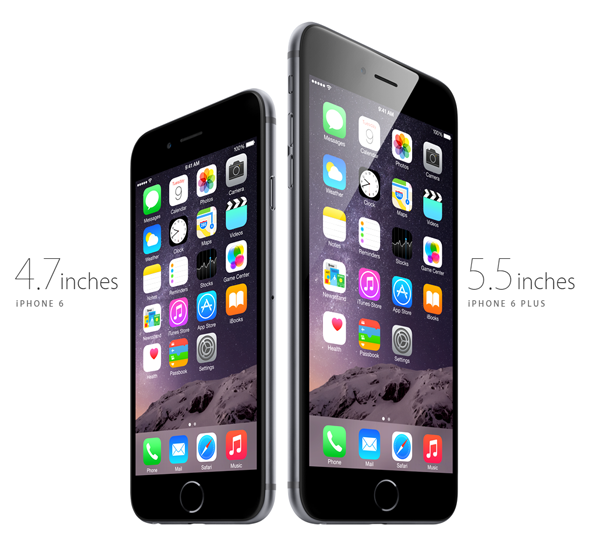 For other countries iPhone 6 Plus pricing and costing, Click Here. For other countries iPhone 6 pricing and costing, Click Here. 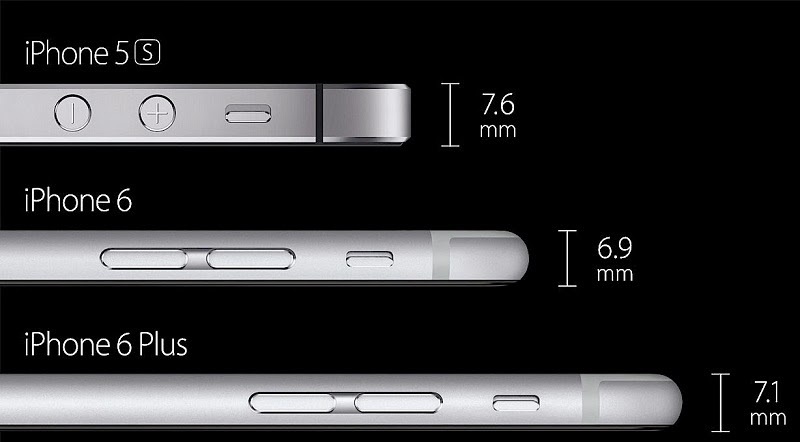 According to Apple, iPhone 6 is the largest and thinnest smartphone, Apple has ever produced in its history, iPhone 6 is 6.9mm thin with 4.7-inch display screen, while iPhone 6 Plus is 7.1mm thin with 5.5-inch display screen. You can see the comparison in below image!